The intense love story is grabbing all the attention and with this, we bring behind the scenes photos from the sets of Sammohanam. 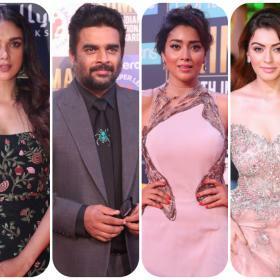 Writer-director Mohana Krishna Indraganti’s Sammohanam starring Sudheer Babu and Aditi Rao Hydari in the lead, is one of the much-anticipated films of the season. Ever since the first teaser of the film was released, it only increased excitement among the moviegoers. The chemistry between Aditi and Sudheer is something everyone is looking forward to catch on the big screen. 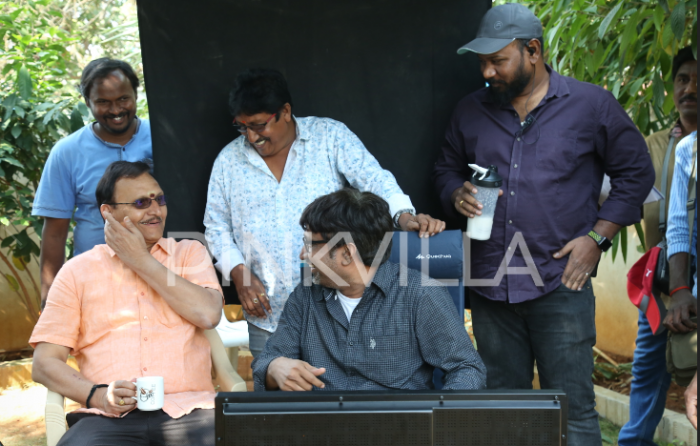 The intense love story is grabbing all the attention and with this, we bring behind the scenes photos from the sets of Sammohanam. 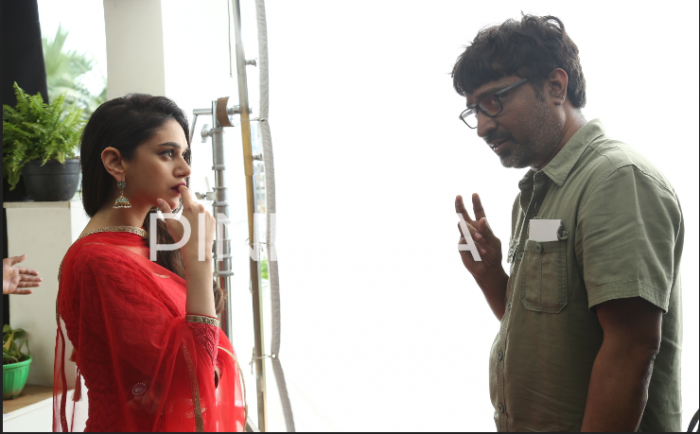 One can see in the photos, Aditi Rao Hydari in all bubbly mood on the sets of the film. The actress is seen in all happy mood. In one of the pictures, one can see her in a serious mode as she listens to the director before taking up the shot of the film.